Hello! 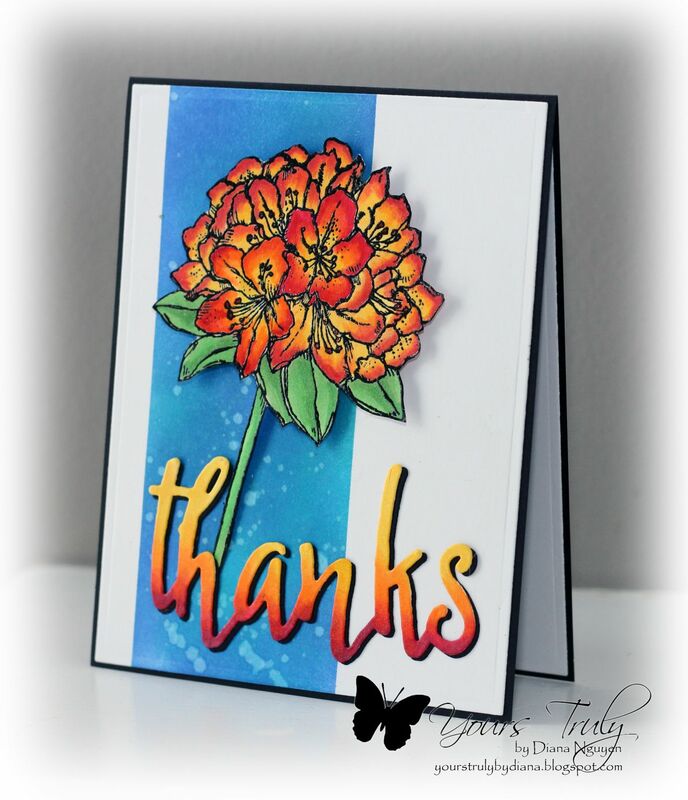 One of my crafting friends has this rhododendron flower (from Stampin' Up Best Thoughts) stamped and embossed during one of "play date" and I asked for one. Literally months later I actually color it up with Copics markers and fussy cut it out. I have an Axbury azalea this color and it's one of my favorite in my garden. Even the buds are beautiful. Since it was so bright, I decided on a complimentary color for the background - a masked section sponged in blue distress inks and water splattered. 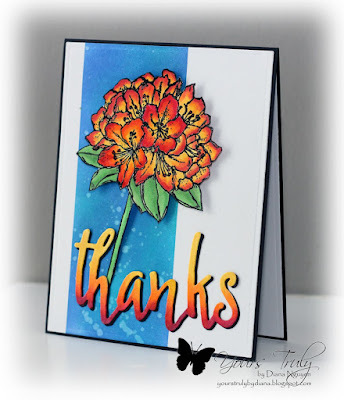 I added the Thanks die from Altenew. It was colored to match the flowers and an extra black die cut for depth.